Yakan hand loomed fabrics are know for their use of bold colors and geometric patterns. 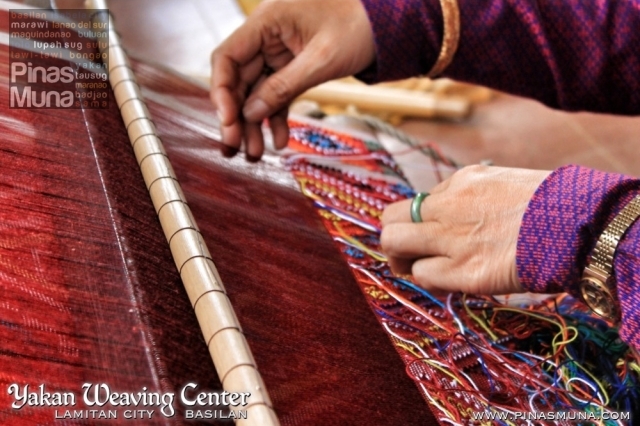 The traditional Yakan art of weaving originated from the island of Basilan, and there is no better place to witness this living art than in the Yakan Homeland of Lamitan, Basilan. The armed conflicts in Basilan from the 70's to the 90's pushed the Yakan tribes to flee to Zamboanga City where the Yakan art of weaving took temporary refuge. 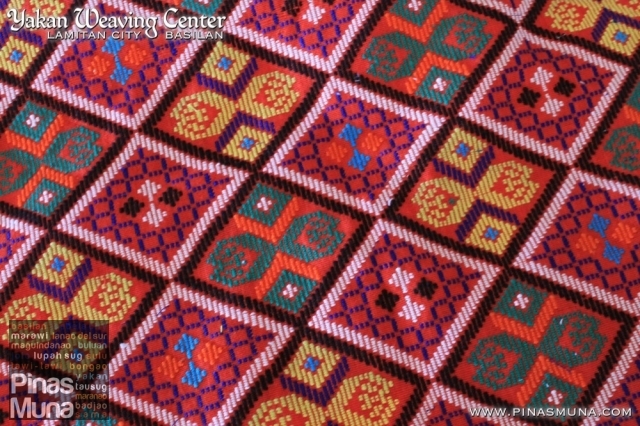 For a while, Yakan fabrics have become synonymous with Zamboanga City through the Yakan settlement in Upper Calarian. With the renewed peace and progress in Lamitan, the art of Yakan weaving is once again thriving in its native land. 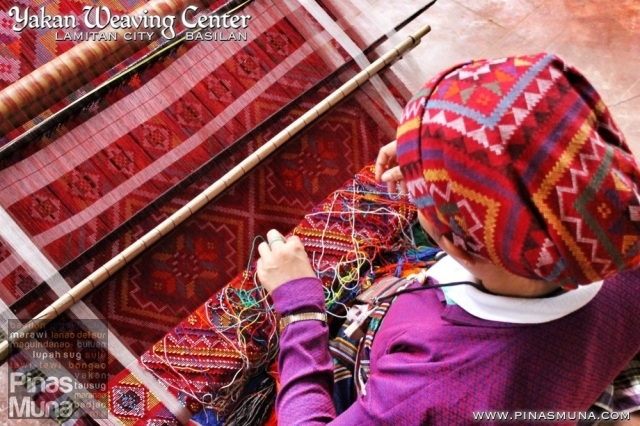 Through the support of the local government of Lamitan, the industry of weaving has created jobs to many Yakan women. Some of the Yakan fabrics made in Lamitan are currently being shipped to Zamboanga City to be sold at the Yakan Weaving Village. Yakan fabrics are traditionally used as garments. The Seputangan is a square cloth used by the Yakan women as a head cover or as belt. The Badju Lapi is a tight blouse with long sleeves and ornamented with gold, silver or bronze buttons. The Sawal is the traditional tight-fitting trousers made of a Yakan fabric characterized by its vertical stripes design. 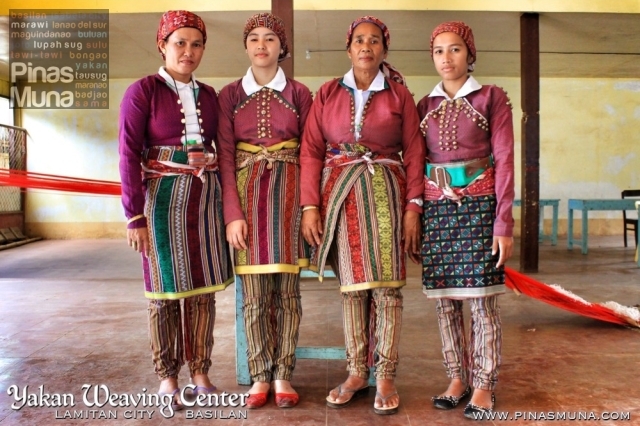 The trousers are then covered by the Pinalantupan skirt. Due to its increasing popularity, Yakan fabrics are now also being used in making bags, coin purses, table runners and other household ornaments. 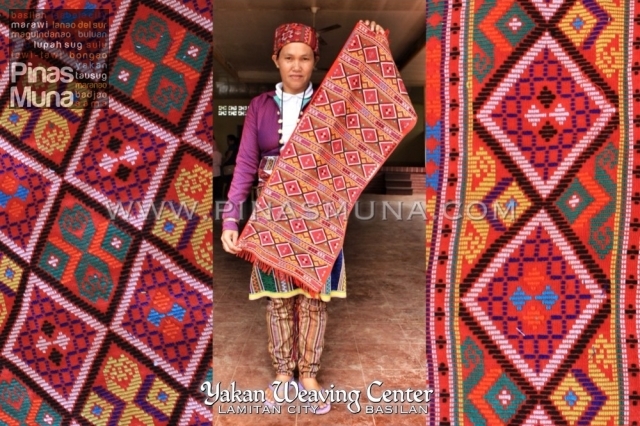 In recognition of the economic and tourism potentials of the industry of Yakan weaving, the city government of Lamitan has established the Datu Dizal Cultural Center which will house Yakan weaving industry and identified the Yakan fabric as its One Town One Product (OTOP).